Baby strollers are especially handy for parents on the go. 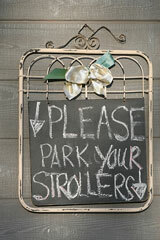 Sometimes, however, stores or restaurants are too small to accommodate bulky strollers. So when tight spaces abound, it's always nice to know where baby strollers can be parked out of the traffic flow. Signs like this one help moms to know they are welcome. Without the baby stroller in tow, they are less likely to bump into or break something in an overflowing aisle. 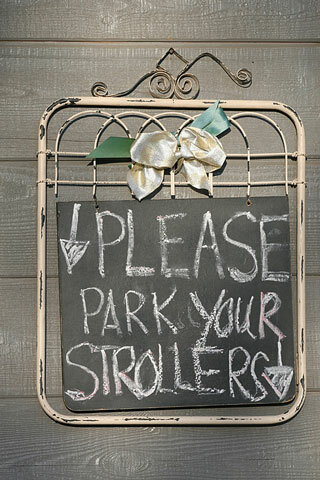 And they know that they can retrieve their stroller and be on their merry way after a successful shopping or dining experience, leaving the "parking space" for someone else.